Creating new Humans is fun and easy in UkuuPeople! 1. 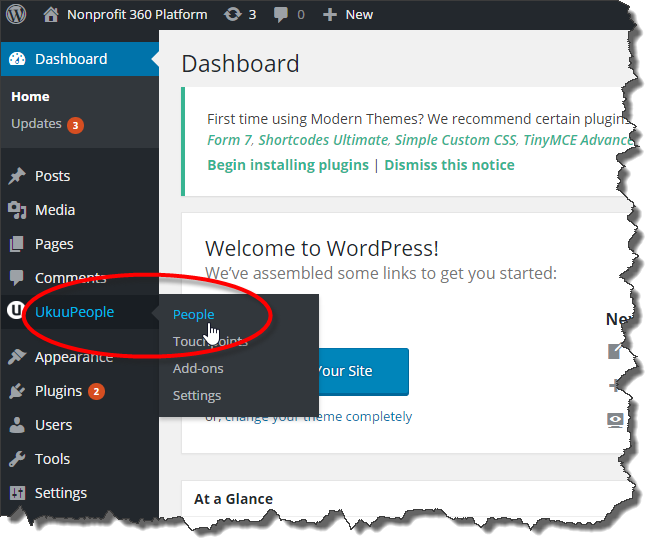 Click the UkuuPeople menu in your WordPress Dashboard. 3. 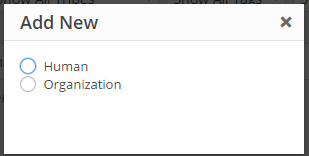 Select Human (or Organization). 4. 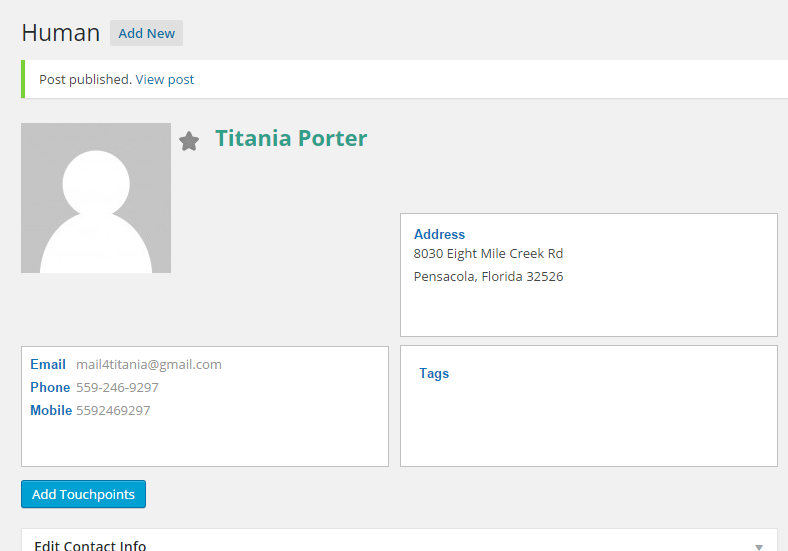 Notice that all fields with an asterisk (*) must be filled out before a new record can be saved. Otherwise, you may pick and choose your desired fields. Once you're done, click the Create button in the upper right. 5. Your Human is now complete! You can click the little "favorite" star beside the contact name, and then scroll down and click Update to add a Human to your favorites list. 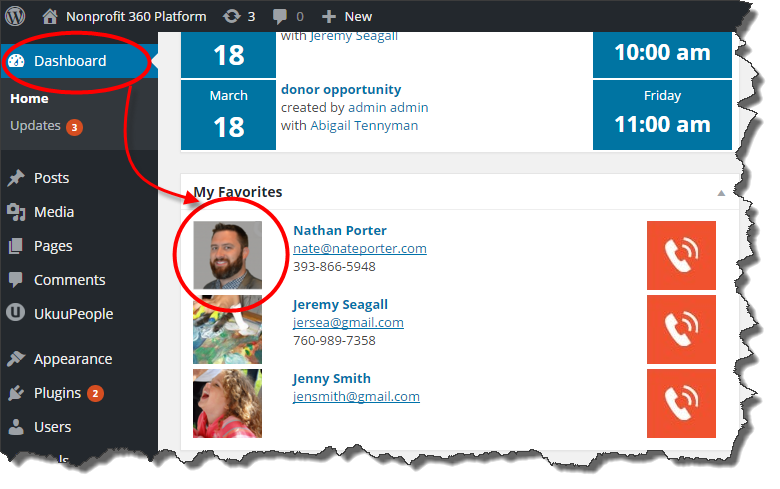 Now, when you go back to your main WordPress Dashboard, you can scroll down to your Favorites Dashlet and see your favorite Humans!